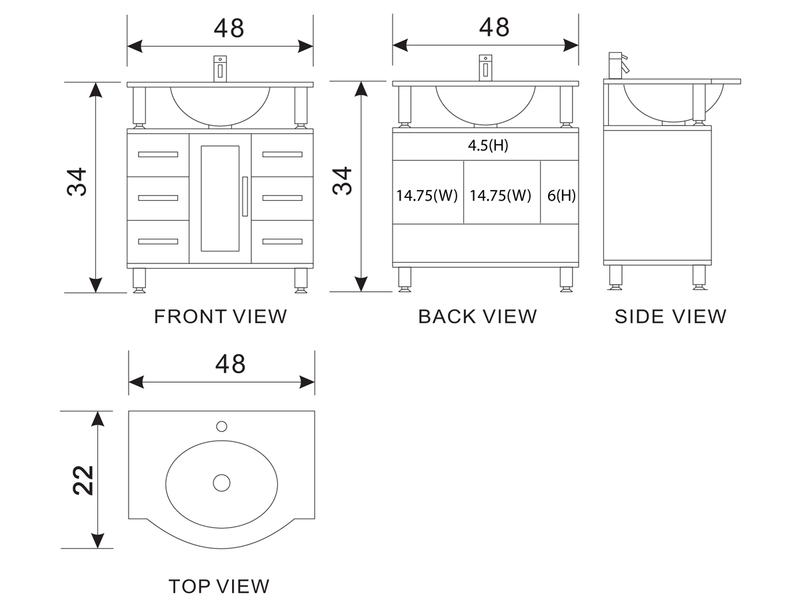 The unique look of the 48" Huntington Single Vanity incorporates a beautiful solid oak cabinet with an elevated countertop made of tempered glass to give you a truly original design for your bathroom renovation. 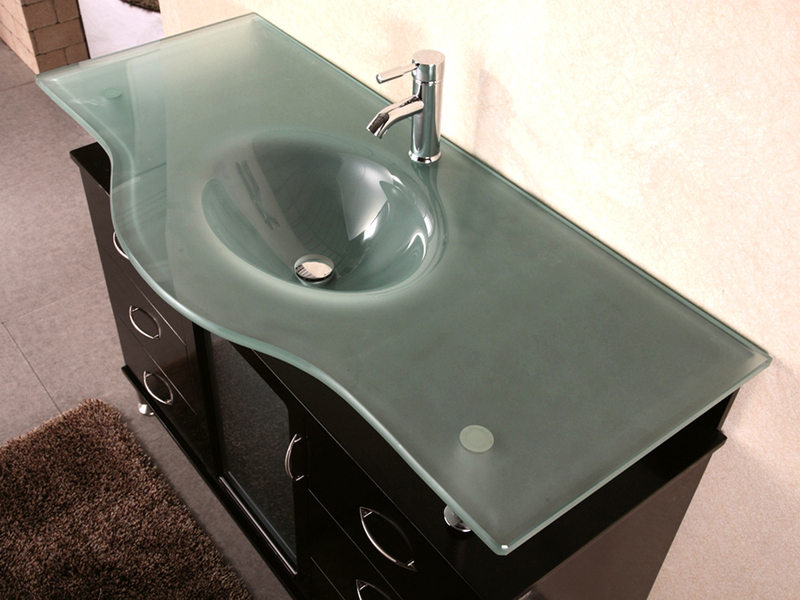 This beautiful vanity boasts a solid oak constructed cabinet finished in an Espresso, with a unique integrated glass sink top with a flowing curved shape that puts together contemporary elegance with modern sophistication. Three drawers on each side provide you with ample storage space, while the central single-door cabinet offers yet another compartment for storage, and is complemented with a glass insert.